Yes, I have been remiss in my duties. And I don't even have a good reason for it. I decided to catch the end of the baseball season by watching the last few A's baseball games of season on Friday and Saturday, as they won't make post-season this year. Saturday was Day Spa day, and the boys managed to talk me out of anything strenuous. And then, of course, today was FOOTBALL!!! FWIW: All images are iPhone shots. 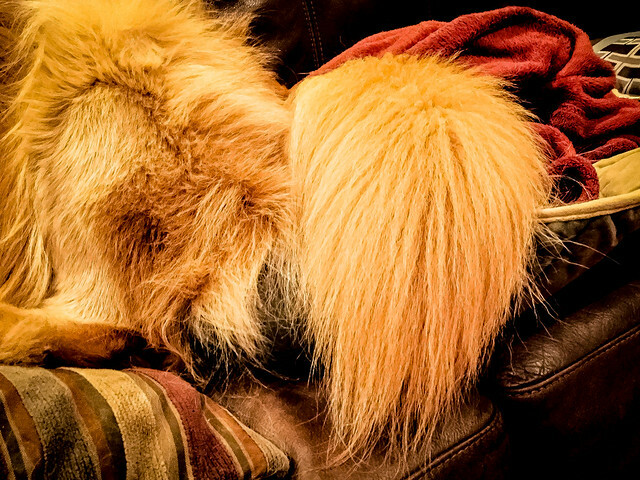 According to Merriam-Webster, one definition of "brush" is: "something resembling a brush: as (a) a bushy tail"
And so I present to you Henry's tail! 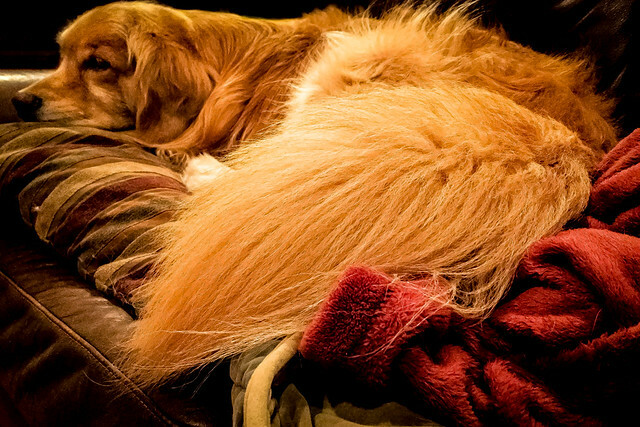 Our Daily Challenge - September 29, 2016 - "Brush, Brushing, or Brushed"
Daily Dog Challenge 1796. Beauty Routine"
I love my Nikon for the overall sharpness of the images - something that my iPhone, especially in low light, can't hope to match. However, with a push of slider here, and a pull of a slider there, it is possible to get a combination of sharpness and softness that I find rather intriguing. Besides, today was Day Spa day and this was about as much enthusiasm as the boys could muster. 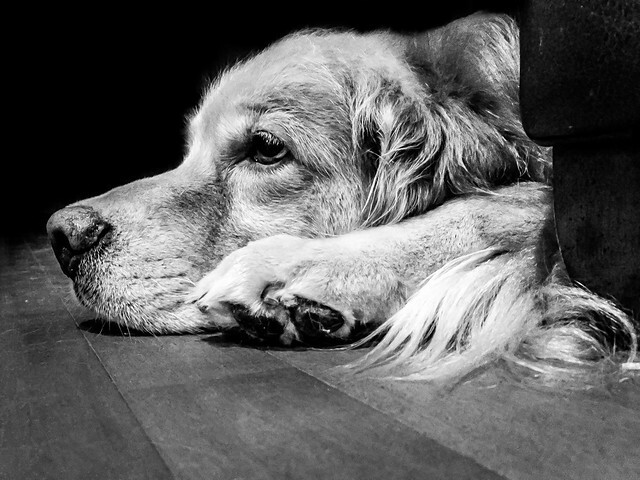 Our Daily Challenge - October 1, 2016 - "Sans Couleur"
Daily Dog Challenge 1797. "Light and Dark"
Our Daily Challenge - October 2, 2016 - "Into the Beautiful"
Henry gave up on the Steelers - Chiefs game by half-time. He abandoned me - taking one of my socks with him - for his favorite retreat beside his old dog crate, which is now filled with camera equipment and bins of backdrop fabrics. 2. do you really want to see the tuffs and fluffs of fur swirling around the floor in crisp detail? Henry has a glorious tail! The black & white effect is a great photo. It really draws attention to Henry's beautiful shape. 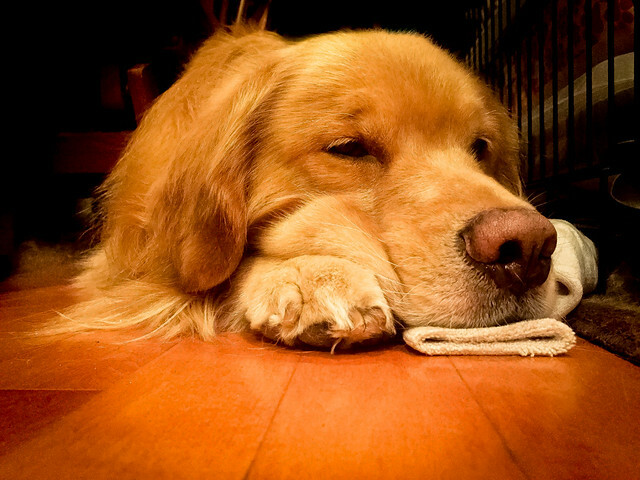 And the photo with the sock....awwww...he's so darn cute!